This summer I was honored to work at Spring Shores Marina. Spring Shores Marina is part of Lucky Peak State Park which is located on Lucky Peak Lake, northeast of Boise, Idaho. The marina houses a rental company and a convenience store. This year the marina received a much needed makeover with a new paint job and other updates. 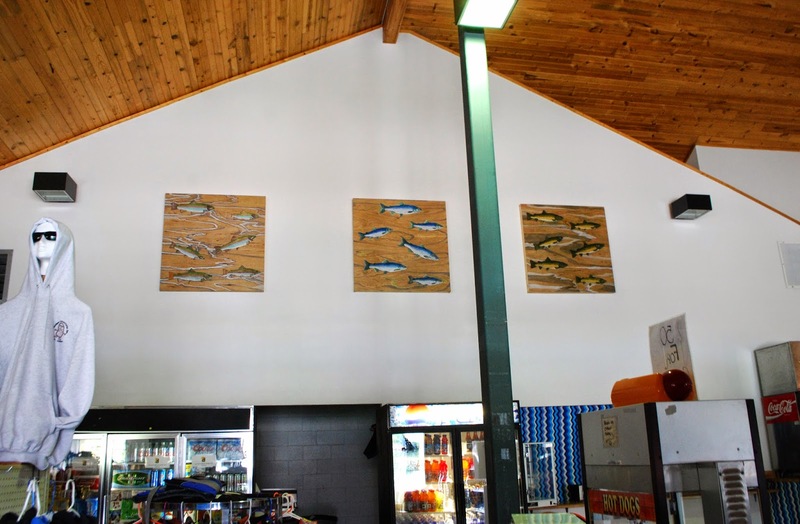 Included in the make over, are three pieces of artwork I created featuring three of the most common fish in Lucky Peak Lake. 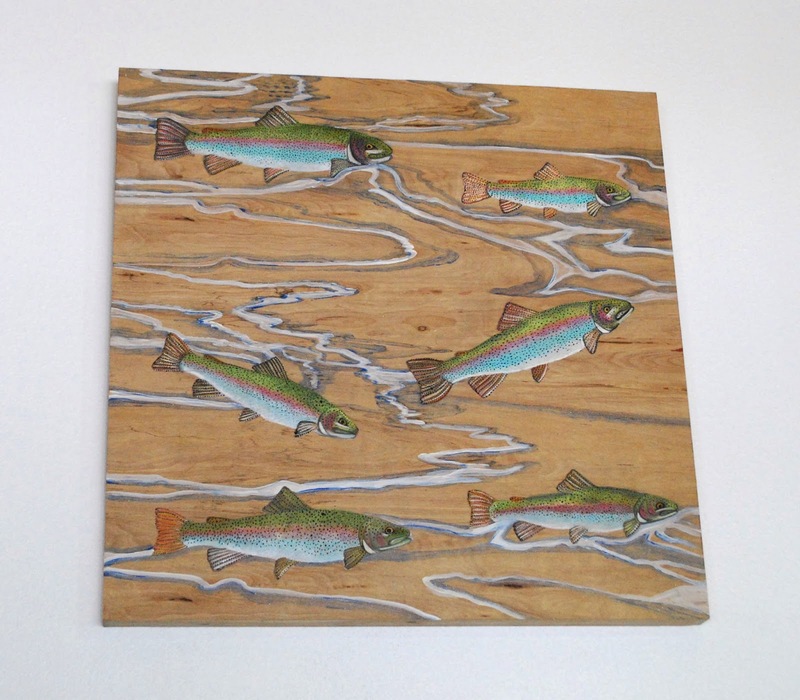 The fish are 44"x 44" pieces of light plywood. 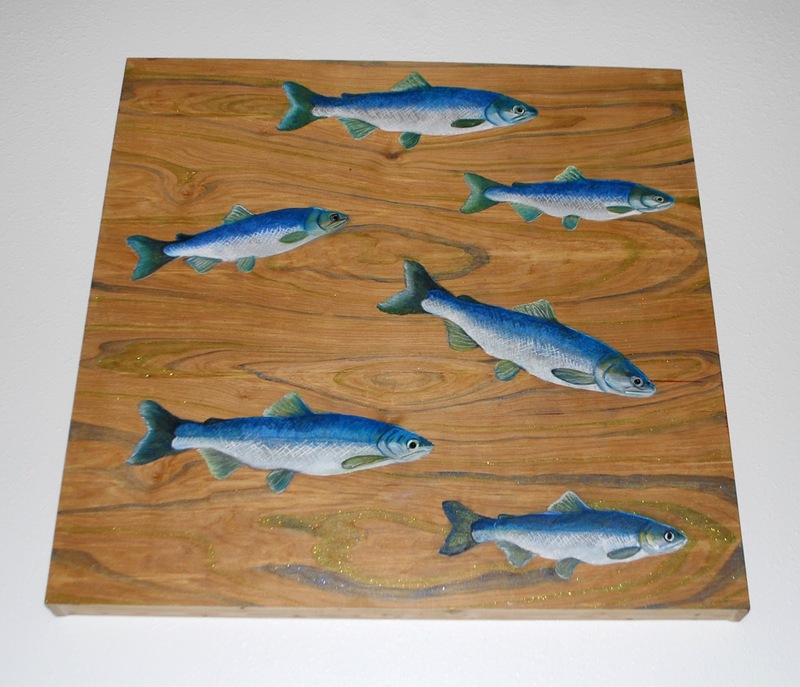 Paint, chalk and markers were used to create the images of the fish. Adult fish are distinguished by a broad reddish stripe along the side, from gills to the tail. Lake dwelling rainbow trout can grow as large as 20lbs. Land locked sockeye salmon are much smaller than the ocean traveling variety and is native to the western north America. Kokanee can achieve sizes of 3 to 5 pounds but 1-pounders are most common. Historically they were known as Dolly Vardens but were reclassified in 1980. 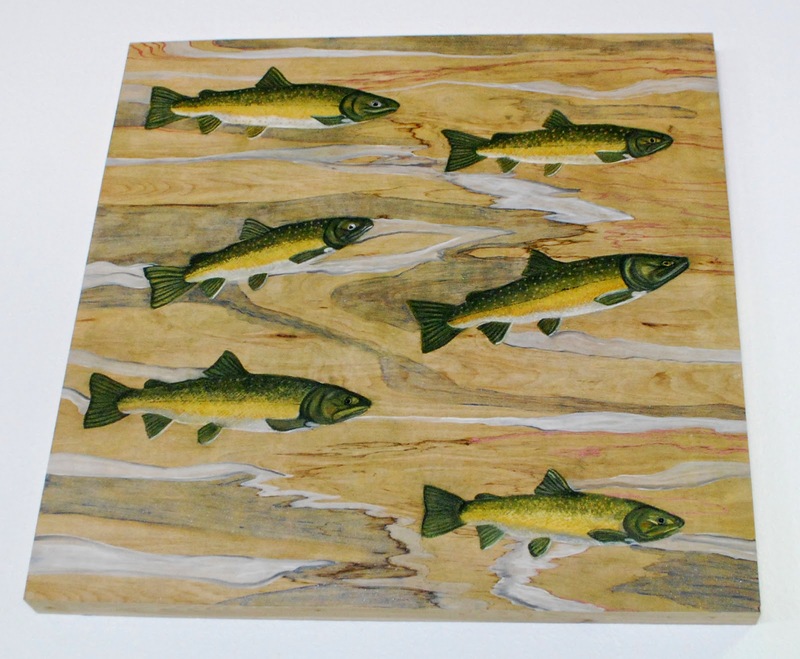 Bull trout are listed as a threatened species under the U.S. Endangered Species Act, 1998, and as vulnerable on the IUCN Red List of Threatened Species. Resident bull trout rarely grow larger than 4lbs but migratory bull trout can grow larger. Please take a moment to check them out next time you come up to Spring Shores Marina.